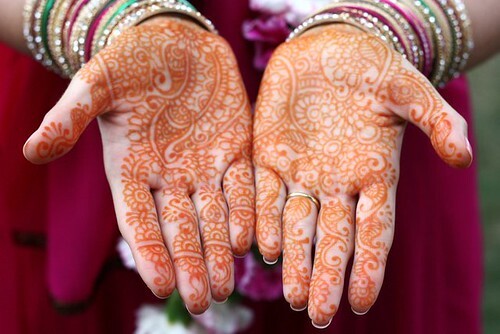 The bride got her hands painted with henna. Isn't it gorgeous? When I work in India, I get this done sometimes. There are these guys on the street in "district 57" (spooky-sounding, I know) of Gurgaon that do it really well. I love the bright colour in the beginning, but it turns brown after some time.